Kids have a keen sense of injustice, at least when their own interests are at stake. Any parent who's had to mediate sibling battles knows this all too well. Sadly, kids are also quick to internalize perceived power differences, prejudice, and privileges as they encounter them. Fascinating new research demonstrates this, and concludes that commitment to social justice is a skill to be practiced and reinforced. By engaging kids in social action, we can help our justice-loving youngsters recognize and stand up against inequities. We can help build their empathy muscles, practice the skills needed for social justice, and work toward a more equal society. Social justice is the movement to establish equal opportunities for all citizens, to turn the abstract concept of human rights into everyday reality. With my family, I talk about social justice as the effort to make sure all kids get a good education and all people have the opportunity to do good work, pursue their talents, and care for those they love. Participating in a social justice movement is an act of kindness on a grand scale. It requires layers of compassion, like so many layers of warm clothing protecting us against the cold frost of injustice and prejudice. It requires compassion for yourself, and the belief that you deserve equal treatment and respect. It requires compassion for others, and the belief that our legal, educational, and social systems can be more equal, impartial, and suited to the needs of all people in this diverse and multi-faceted country of ours. And it requires compassion for people well into the future: those you know and those you'll never know, those whose rights you are protecting and those who may not even agree with you but whose lives will benefit from a freer, more fair, more just society. At my house, we listen to a lot of news. We have a multitude of ongoing conversations about current events, directed by the endless questions my children have about the public dialogue they are overhearing. My kids, like your big-hearted families, have been raised with a strong sense that kindness, fairness, and equality are fundamental goals of an ethical life. And they're angry that the equal rights fought for by famous leaders like Martin Luther King, Jr. aren't settled, foregone conclusions. So together, we're learning more about the triumphs as well as the shameful moments of America's past and present. We're looking for tangible ways to work toward a more just, more equal society. Below are the efforts we are putting time into. A growing collection of fiction and nonfiction resources about social justice movements. 1. Read together about social justice movements with our new book list! Books are the best tools I have to answer my children's big-hearted questions. The trick is, I have to read them too, so we can have earnest conversations about the details. To help inform and inspire my family as well as yours, we've added new conversation starters and book suggestions about social justice movements in the U.S. The history of social justice in this country covers a rich array of movements, and we're striving to represent as many historical experiences and milestones as possible. Find instructions, conversation starters, and resources for speaking up on our project page. 2. 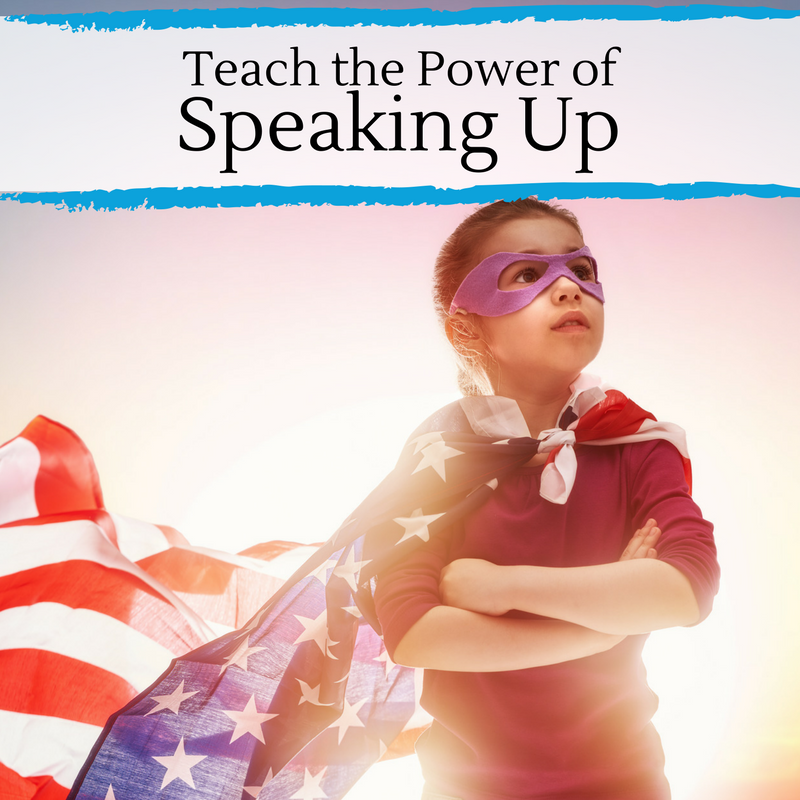 Teach the power of speaking up. Prepare your family to speak up for issues you care about. Create and post a one-page summary of your local, state, and congressional representatives. Make time periodically to write or call these leaders and communicate your social justice concerns. If you're inspired to act by personal experience, share that. If you're moved by a book-related conversation you've had, share that. 3. Show up at social justice events in your community. Only you, as parents, can decide whether a protest or rally is appropriate for your child(ren). If you do choose to attend one with children, here are a couple of things to remember. Prepare before you go. Give kids a good idea of what to expect, including a police presence, a boisterous, slogan-chanting crowd, creative signs, and dissent from other crowds. Also, make time to discuss why you are interested in attending. Don't forget the creature comforts. Like every outing with kids, even older teens, be sure they wear comfy shoes for the march; and bring along snacks, water, a notebook and colored pencils to draw or journal the day, and cash for an extra treat. Stay safe. If you arrive and the vibe on-site is uncomfortable, be prepared to adjust your plans and head home. Reflect on the event. Let some time pass. Then share your observations with one another, discuss what you learned, what surprised you, and what you hope happens next. 4. Collect change for change. If you're inspired to support a specific cause or issue, create a giving box and add extra cash to it whenever possible, then donate to an organization that works for social justice in a way that inspires your family. Click here for craft instructions from Activity Villiage. 5. Craft with younger children. For years, my family has enjoyed this creative craft project in honor of Martin Luther King, Jr. Day. The busy work of cutting out hand shapes for a social justice banner gives us ample time to discuss inspiring quotes (we searched the web for our favorites) from the legendary leader and poetic orator of the Civil Rights Movement. 6. Remind kids – and yourselves – advocacy is a marathon, not a sprint. Creating meaningful change to the institutions of a nation takes time. Protect yourselves against burnout by acknowledging the slow pace of change and celebrating small milestones. 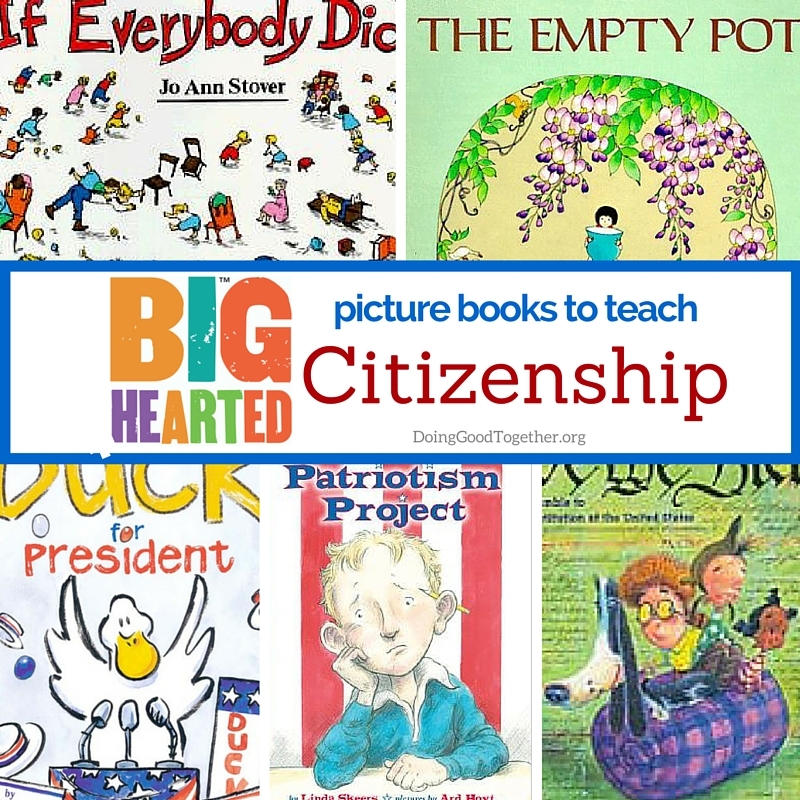 Browse our collection of tools for big-hearted citizenship, and take action today! Newer PostMake Valentine's Day a Season of Kindness!